My daughter helping me to eat a raw rainbow platter I created! During one of my earlier 7 Day Juice Fasts, I first learned about the raw diet through Jason Vale (aka Jason Vale Juice-master). I was intrigued, but did wonder how manageable it would be to eat nothing but raw foods. People who eat nothing but raw foods are called raw foodists. It seems to be very popular in hotter countries and there is a massive raw foodist community in California. I was unsure how realistic it would be to do go fully-raw in a colder climate like the UK, especially in the winter. The only person I had previously met who was a raw food enthusiast here in the UK was an alternative therapist who hailed from CA originally. For this reason, I set myself the challenge of going raw in winter; because I figured that if I could do it in the colder months-then the rest of the year would be a breeze! Initially I was excited as good friend of mine, Saskia, also planned to try the challenge in November too and I thought it would be nice to compare notes-but in the end, she changed her mind, and has delayed until summer because she wanted to enjoy all of her autumnal seasonal vegetables… As it turns out-I think she still could have enjoyed many of them raw-but as a raw virgin-it’s hard to imagine just how amazingly creative the flavours and recipes are from raw foodists! I imagined I’d be eating plain fruit and salad and forgoing meals like lasagne, pizza, pasta, and soup for example… But as you’ll see-this doesn’t need to be the case if you think outside the box! I felt amazing after my 7 day juice fast, and I had lost 8lbs to boot… My hair was glossy, my skin glowed, even my eyes looked brighter, my tummy was flat and free from bloating and I had tons of energy; but I was craving food that I could chew and enjoy the sensation of eating again. 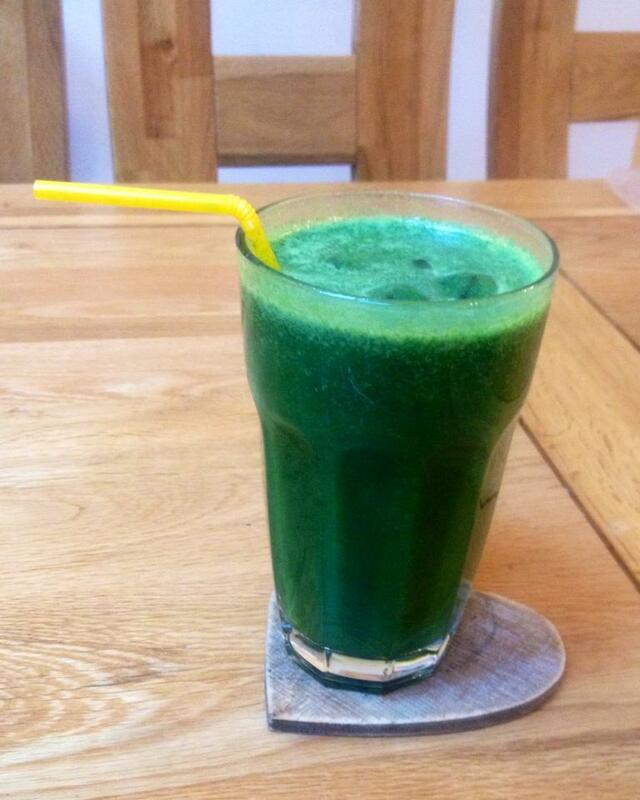 A juice fast is great as a kickstart to a good cleanse for the body, but it’s not intended to be a permanent lifestyle. The raw diet (for me at least) seemed like the most obvious way to reap most of the benefits of the juice fast in a way that could become a permanent lifestyle choice. Cooking depletes the nutritional content of our food by damaging the nutrients and vitality of the food and at the same time making it more difficult to assimilate the remaining nutrients. At 113-118ºF/45-48ºC the enzymes begin to break down and lose their catalytic power. At around 135ºF/54ºC we destroy the vitamins and phytonutrients (antioxidants). Minerals are not affected by heat, but if we boil food, minerals will be lost in the water. Another perspective on heating our food: Human skin burns and our skin cells die at about 130ºF/54ºC. At around 130ºF/71ºC, the sugars in carbohydrate-rich foods, such as potatoes and grain products, begin to caramelise, making them much less effective as an energy source. Cooked vegetables have lost have lost much of their fiber content, which makes them less effective at sweeping out the digestive system. At no other time in history have hundreds had a diet so full of altered foods. The grocery store shelves are stacked with processed foods that have been stripped of almost all of their nutrients and contain substances completely foreign to our bodies, such as MSG and trans fats. The definition of processed food used in this book is anything that was man-made in a factory with altered or refined ingredients and packaged to sit on store shelves for weeks or months. This applies not just to chips and cookies, but also includes “instant” meals you heat in the microwave or add water to. Even unassuming whole grain cereals and muffins are processed foods. Many of them are filled with preservatives, sodium, artificial flavours and colourings, and hydrogenated oils and contain corn and soy fillers, most of which are genetically modified. The irony of this modern diet is that people who eat only processed foods can eat upward f 4,000 calories per day and still be extremely deficient in vitamins and minerals. This deficiency may drive us to graze all day on junk food yet never feel satisfied. Adding nutrient rich raw food to your diet can calm cravings, balance mood-swings, increase energy, strengthen the immune system, and help with weight loss. Another issue that arises from cooking food is that certain toxins and carcinogens are formed when high heat is used. Heated high-fat, high protein animal foods create glycation end products (AGEs) which have been shown to increase blood-pressure, create wrinkles in the skin, and accelerate ageing. Heating starches with oils(as when making french fries, potato chips, breads, cookies and crackers) creates acrylamides, substances known to cause cancer in laboratory animals. Whenever you see that food is browned, such as a loaf of bread, that is acrylamide. Cooking meat creates heterocyclic amines (HCAs), another carcinagenic compound. HCAs are most abundant in well-done, fried and barbecued meats and have been linked to stomach, pancreatic, colorectal and breast cancers according to the National Cancer Institute. When you imagine how frequently most people consume these foods-on a daily basis, week after week, year after year-it is no surprise that cancer continues to rise. A landmark example of the effect of cooked food on the immune system came to light in the 1930s. A Swiss scientist, Dr Paul Kouchakoff, studied, studied the effect of digestive leukocytosis, a well-known phenomenon in which the white blood cell count rises after eating. Dr Kouchakoff conducted more than three-hundred experiments showing that leukocytosis does not occur when one eats raw foods but creates a very strong response after eating cooked, canned, and especially processed foods. He renamed it pathological leukocytosis because the body’s reaction to a foreign invader causes the increase in white blood cell count. Personally I found this information a pretty compelling reason to give the raw thing a bash and see how it made me feel. This was not about losing weight, although this was certainly one side effect I certainly hoped to see as a side effect. To Buy a Dehydrator or not to buy a Dehydrator? I invested in some books, many of which talked about using a dehydrator. For want of a better description… These are the raw foodist’s ‘oven’. They enable you to create recipes that mimic the experience of cooked food (including some warmth) without actually cooking food or denaturing it in any way. I was unsure whether to get one or not Excalibur ones seem to be the raw foodists dehydrator of choice, and the ones featured in all of the recipe books I had purchased, but come at quite a price… The more interesting recipes I wanted to try featured a dehydrator, and I decided that even if I didn’t stick with raw-it would be a good kitchen appliance to own and they appear to hold their value. I watched various units on eBay for some time before I managed to get one at a reasonable price (after I had started my raw challenge already). I opted for a 5 tray, because of the size, but if space was no issue I would have opted for a 9 tray as they’re only about £20 different in price when new. What did my raw food look like for the month? Most of these recipes were taken from Judita Wignall’s recipes from her books going Raw and Raw & Simple… I bought 7 raw cook books, but these were my absolute favourites so far… I have more on order-so I’ll let you know how I get along! I was blown away by the flavour and variety of my raw food diet… Actually I hate the word diet when talking about this way of eating… It is definitely a lifestyle and a change of mindset. I feel incredible and it radiates from the inside out. I feel very in tune with my body. I feel healthier (normally I am the first person in the family to get colds or flu in the house… Everyone in the house has had a cold this month (even my partner who has the immunity constitultion of an ox normally)… Everyone EXCEPT ME! I have noticed my tummy flattened (although in the first 2 days it bloated massively whilst adjusting). I got less hungry because I was getting more nutrients per mouthful than my body is used to receiving. Eating out is more difficult… Even most salads in a restaurant contain dressings, or ingredients like cheese, croutons, pasta or rice which are cooked. Many of the Raw Recipe Ingredients are hard to source… Even my local health food shop doesn’t stock a huge amount of items from the recipe books I had… You will ideally need a good Asian Grocer near by, or you will need to shop online if you aren’t lucky enough to live near amazing markets like the raw foodists in California. I have not managed to find wild rice, spelt or kamut in their natural unprocessed state in the UK. You will ideally need to invest in special kitchen equipment. I am fortunate enough to possess a decent juicer and blender, which both came in useful (especially for the raw (warm) soups)… A food processor would be useful, but isn’t essential in my opinion, and I invested in a dehydrator and a coffee grinder (also not essential). I have asked for a Vitamix for Christmas which will greatly add to the quality of my raw diet food textures open doors for more variety in my recipes. Get friends on board with understanding your goal in advance and ask them to be supportive and non-critical. They don’t need to join in to be supportive. Use Pinterest as a resource. I have found tons of resources on there. I have a ton of raw food and resource pin boards for those interested my boards are here. Buy nuts, grains and seeds in bulk at the start of the month and soak/sprout and dehydrate them in advance where recommended so that you are ‘ready to go’ with recipes. Also, if you plan to use a lot of items like vanilla, find a discounted outlet. I found a place called Vanilla Mart in the UK who sell beautifully fresh, fragrant, moist, silky pods/beans at a fraction of the cost of supermarkets and health food stores… In Waitrose, you pay £5.95 for 2… In Vanilla Mart, I bought 50 for £20 with free postage! (and they do better deals if you buy in bulk too). Have a few regular staples like veggie mince made up and stored in the fridge. 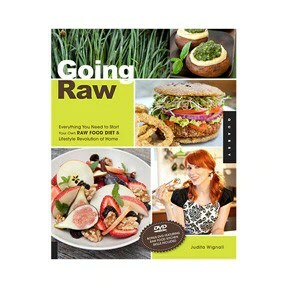 Most raw recipe books are also vegan, but it’s okay if you want to include meat or fish. I was also lucky enough to find a biodynamic farm near me that sells raw (unpasteurised) cows milk and cheese from horned cattle. If there is an ingredient that you can’t find, look it up online. It may be known by a different name (eg here in the UK we call a lot of things by different names to the States). You can also look up possible substitutes. Join raw food groups on Facebook-you can pick the brains of more experienced raw food enthusiasts. Make sure you build in treats – This will ensure you don’t fall off the wagon with your healthy lifestyle! I am such a chocoholic that I wanted to ensure my cravings weren’t a slippery slope to ‘failure’ with my desire to stay 100% raw. I am lucky enough to be close to Amy Levin (aka Ooosha), the world’s leading raw chocolatier... I attended her Advanced Raw Chocolate Level 1 Course in November (which I will write about in my next post). If you don’t live close-don’t worry, she offers a remote learning ‘online’ version of this course too! How do I feel at the end of my Raw Food Challenge Month? Well, in short, absolutely incredible. I cannot ignore the results, and as such-I have decided to stay fully raw. I am not going to be completely ruthless about it… If I am dining out with friends, I may eat a cooked meal occasionally, and at the moment I am planning to eat what everyone else in the house will be eating on Christmas day for example… But this has changed the way I see, experience and think about food. I have noticed such a significant improvement in myself physically, emotionally and generally, that I don’t want to go back to eating the junk I ate before… Actually, I didn’t think I was eating ‘junk’ before. I would have previously told you I ate very healthily on the whole-but actually this has opened my eyes to just how processed even simple seemingly ‘healthy’ foods are. So to summarise… if you want to try a healthy new years resolution for a better you-I can’t recommend this enough… I have seen a difference on the scales, despite not exercising for a whole month and eating treats when I wanted! 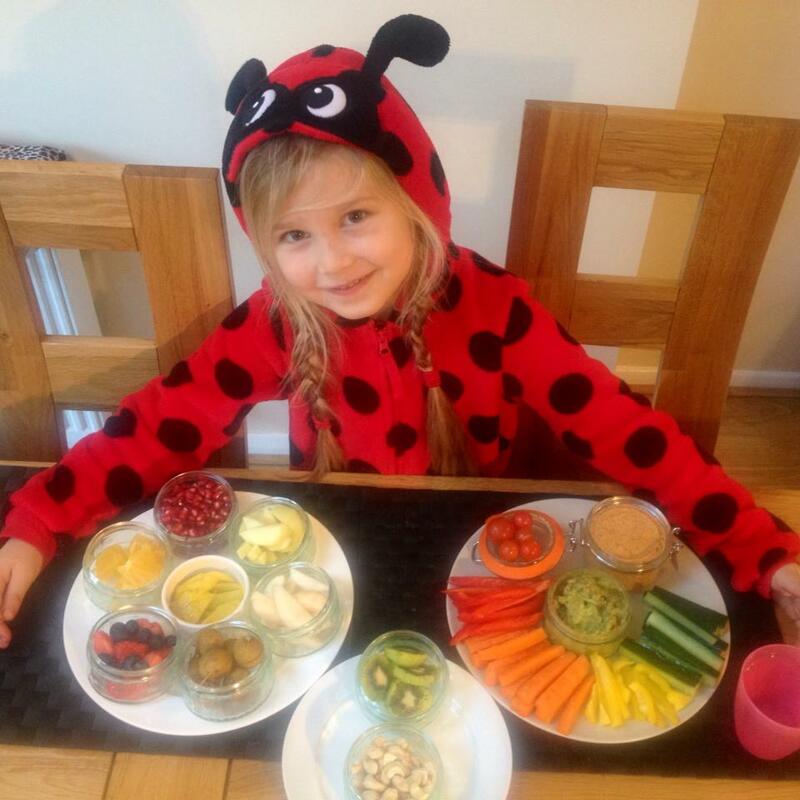 I have tried the raw diet for one weekend (3 days) as I was spending it with Emma, being not 100 % sure that I would do it with her with all meals. But : after the first meal , I was so amazed by the flavor that were so pure and burst into your mouth. A raw meal will never leave you hungry.